There's more to Cisco Distinguished Engineer Mike Storm than meets the eye. When Mike Storm enters a room, people notice. And that's just the way he likes it. Storm, a Distinguished Engineer in Cisco's Security Business Group, is hard to miss. A former MMA heavyweight fighter, At nearly 6 feet and 250 pounds , with a full beard and covered in tattoos, he looks intimidating, but all that changes as soon as he starts talking. "People tell me as soon as I open my mouth, they know I may be a nice guy," Storm says. "I do like people, and I love to communicate. Developing and fostering relationships is probably the number one thing on my priority list." 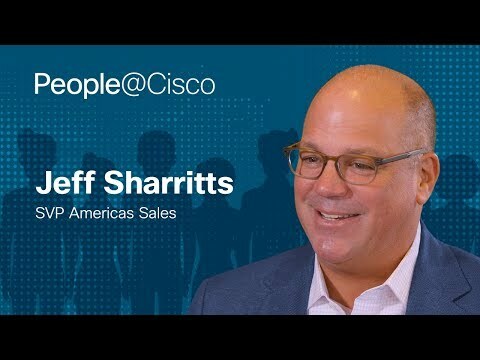 As a Distinguished Engineer, Storm is steeped in the details of how Cisco security products work and helps everyone from customers to sales people understand their importance. "I get up every day excited about my job because I love what I do," Storm says. "It's unlike any other job at Cisco which is one of the reasons I really like it, but I measure my success based upon how much impact I'm able to have." With Storm's infectious passion and enthusiasm, he's able to show businesses their vulnerabilities and help them find easy security solutions. And for a few lucky businesses, they get the benefit of Storm's expertise, winning a contest called the Cisco IT Makeover. Storm comes to those businesses with a team to install Cisco security solutions and features the company on an IT Makeovervideo series. "The number one goal of the IT Makeover series is for heightened awareness for smaller companies about the value of the data they store and the risks associated with today's threat landscape when not protected correctly. We show them how Cisco can assist them in protecting themselves and keeping their data safe," Storm says. "You don't need a giant staff. You can have just a few people or even just one person that can really get it all done with the right tools." The video series gives you an inside look at how businesses like the acclaimed restaurant, The French Laundry, can benefit from the IT Makeover and Cisco Security solutions. "It can be a real challenge for these folks to understand what's necessary to keep that data safe," Storm says. "The makeover series educates people and shows them that it doesn't have to be hard." When Storm isn't surprising customers with an IT makeover, he loves surprising people by showing them an unexpected side of himself. "I just moved to a ranch in Temecula and I raise chickens now. I have 14 egg-laying hens," Storm explained. But of course, he's quick to point out that he takes securing his hens seriously. "Our neighbors say we have the Fort Knox of henhouses." This new interest also surprises him, but he lives his life by a simple tenet. Excellence is not an act. It's a habit.